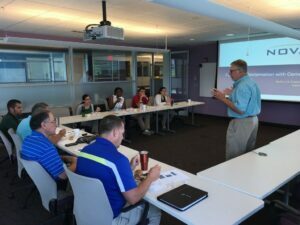 We mixed lunch with education during a recent visit with McKim & Creed. Barry Roziewski lead the discussion on Full-Depth Reclamation with Cement. Thank you for your time McKim & Creed.